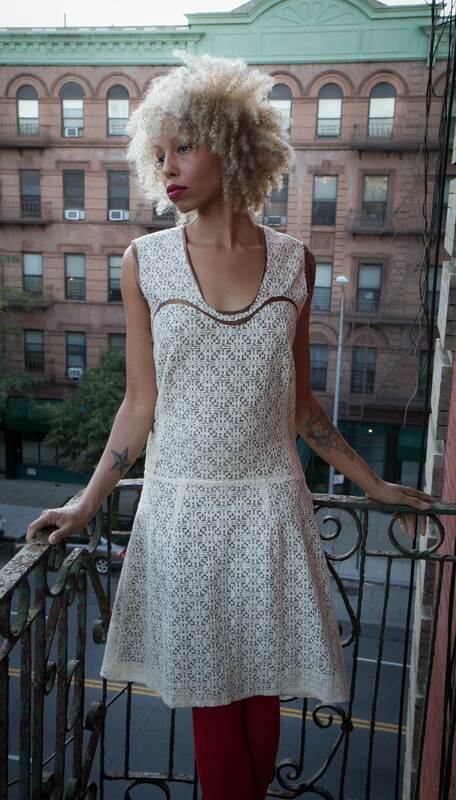 I met Nikki Mitchell, NY beauty and former model, at a Lianne La Havas concert in Central Park this past summer. I knew she’d look radiant in my clothing! As a gesture of friendship, she offered this shoot to me, and even got her man in on it! 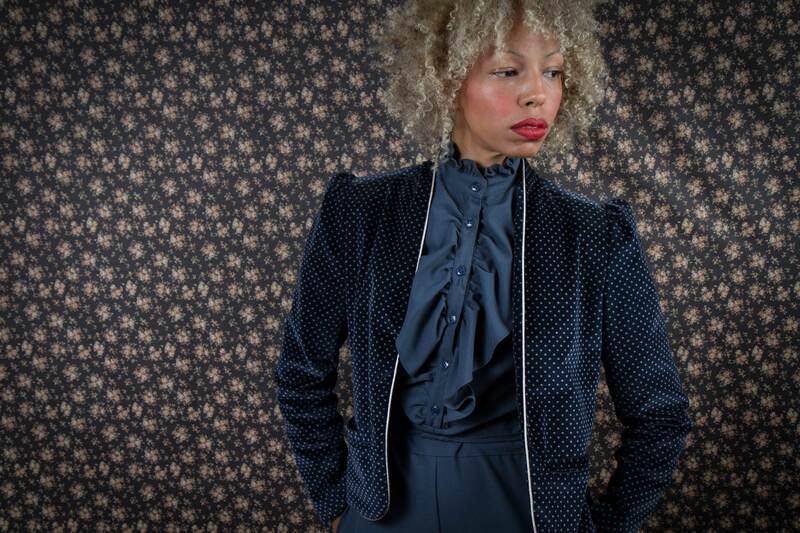 Jacket pictured here is from my Undecillion Fall 2013 collection “Swedish Royalty Through the Ages.” You can pick up yours here. It’s beautiful how the slightly raised mandarin collar cups your neck in back and tapers into the front edges, it’s one of my favorite pieces for comfort, warmth, and style. 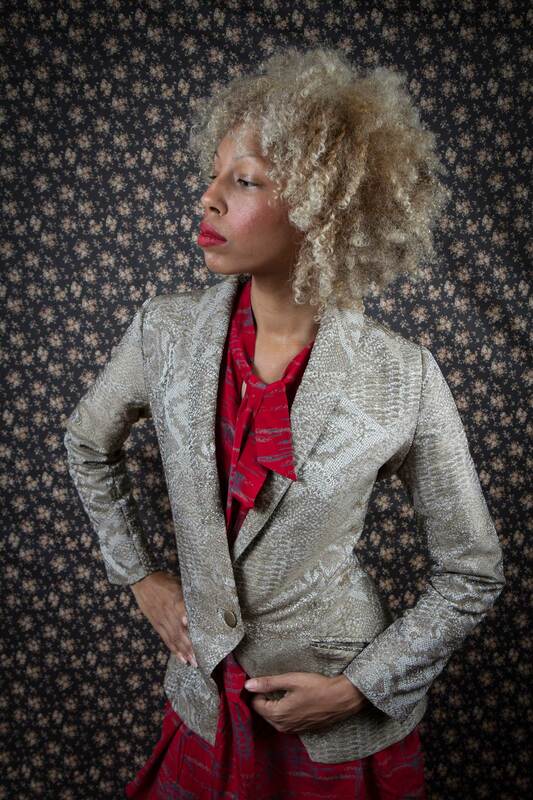 Another favorite jacket of mine, for the color and texture of the brocade fabric. I also find the sleek simplicity of a shawl-collar blazer to be fantastically modern and flattering. 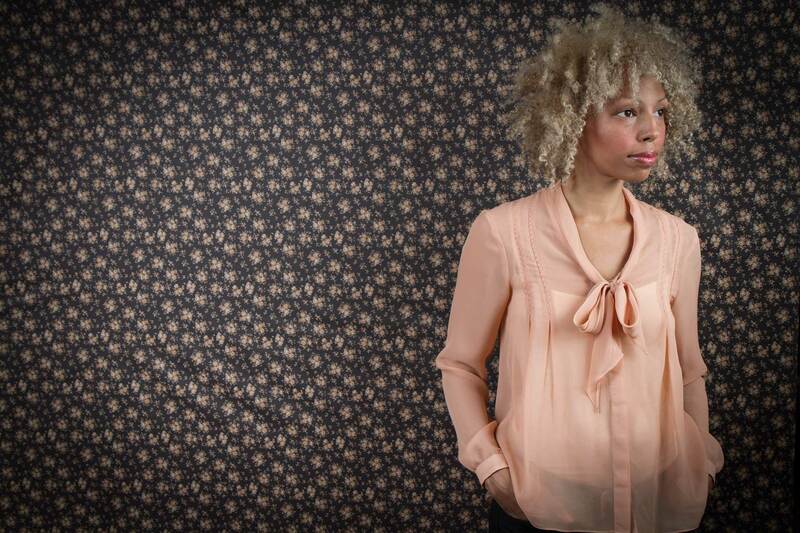 This feminine and floaty peach silk blouse is available here in a variety of sizes and colors! And lastly, what dreamy 1920’s girl wouldn’t want to don this beauty to go out for a root beer float? This dress is on sale here. i love it, thank you so much! How are you? Currently very busy? Hey Chris! Sorry for my absence, been busy beyond words! Missed you! Hey Rachel, don’t worry, been busy too 🙂 how are you now? Any new developments you want to tell me about?